CIO Perspectives events bring together the expertise of the CIO brand and an extensive network of your IT leadership peers. These day-long executive forums take place annually in nine cities across the country. Created with the direct guidance of CIO advisory boards in each region, our agendas feature expert presentations, panels, workshops and lively peer discussions on leadership, business strategy and IT innovation. 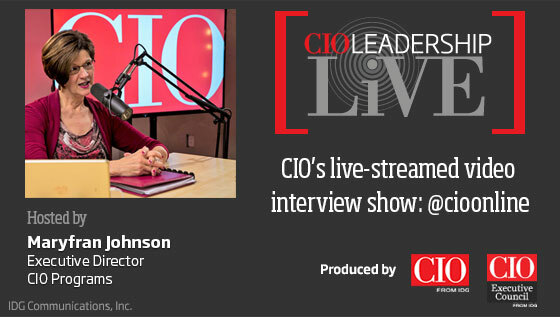 Get an inside look at CIO Perspectives. Join us for unparalleled professional networking, rich content and a superior event experience at a city near you. From your first cup of coffee before the opening keynote to our cocktail hour at the end of the day, you’ll enjoy conversations and idea exchanges with an exclusive audience of your peers. We ensure you’ll spend the day sharing management insights and experiences with other senior IT leaders CIOs, VPs and Directors of IT. Check out the video below for insights and event highlights. A monthly video series hosted by Maryfran Johnson. Watch it live on twitter.